I happened across some old clinic notes and found one of interest from Dana Altman, current coach for University of Oregon. At the time when I heard him speak, Coach Altman was at Creighton University. Though Creighton was rarely seen on national TV, the times I did see them play, I always came away impressed with the imagination he used in his high post offense. Of particular interest were his UCLA cuts off the high post. 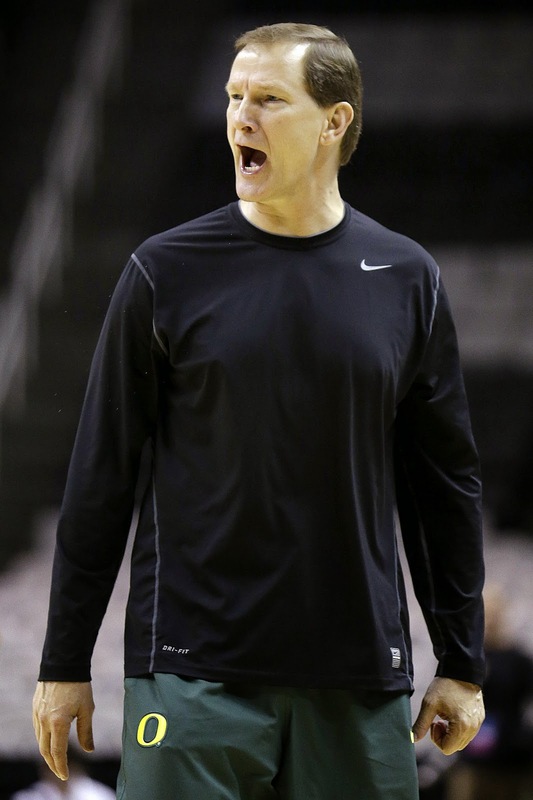 At this clinic Coach Altman shared his 10 Keys to Your Offensive Philosophy. 1.) Understand and be comfortable teaching your offense. 3) Know where the shots are coming from. 6) Ball has to be posted. 7) Check defenses ability to guard a particular phase - for example, how does the defense deal with posting guards. 8) Does it go smoothly from transition to set. 9) Can you mold offense to fit the talent of your players. 10) Put you in a great rebounding position. The third key sticks out because I'm learning to convey to my players the importance of being aware of where the shots are coming. Sometimes in my haste to create a fluid motion offense, I'm so engrossed in imparting to my players how I want them to move, I don't stress the specifics of where the ideal shots are coming from. 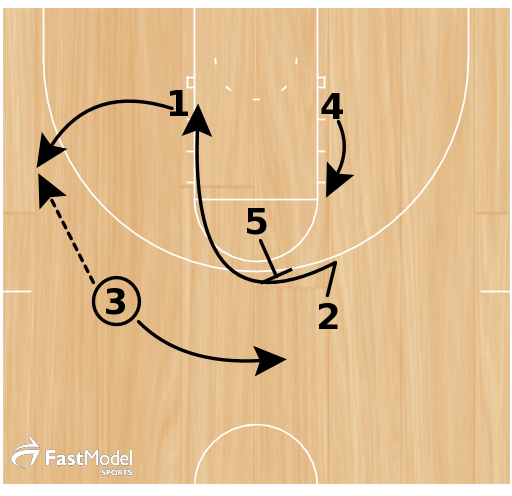 In this best selling DVD, Coach Altman shows his base sets for the offense, along with its positioning, movements and cuts. The DVD includes different set plays that teams can run out of this offense to utilize different strengths you may have or exploit potential weaknesses your opponent may have. It also shows different ways of transitioning into offense from a fast break. A quick clip from Coach Altman's Complete Guide. 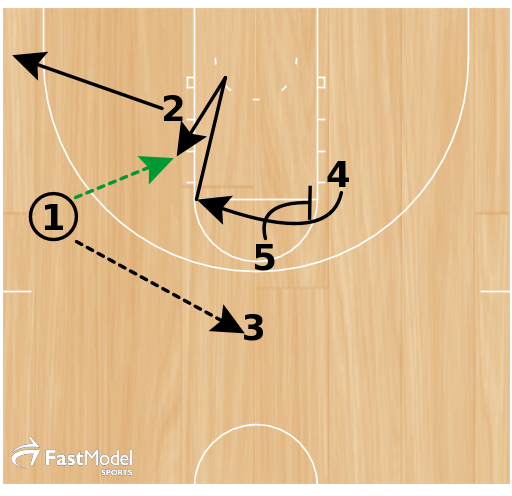 Here's a clip from another Dana Altman DVD: Using High Post Offense to Attack Zone Defenses. I like how he talks about the importance of screening angles. 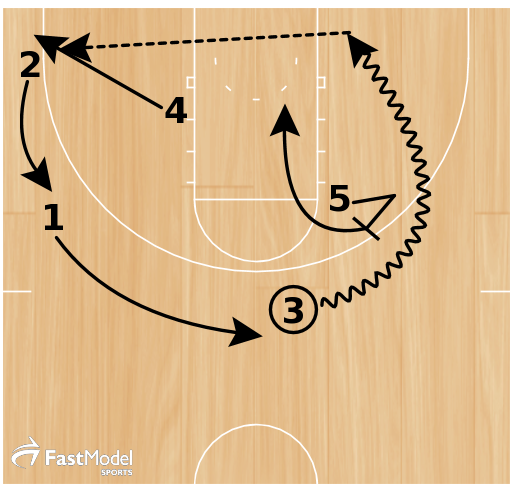 Here is diagram of a motion set run Coach Altman's University of Oregon. To see these and other great diagrams, check out Fast Model Sports - Basketball Drills & Plays Library. 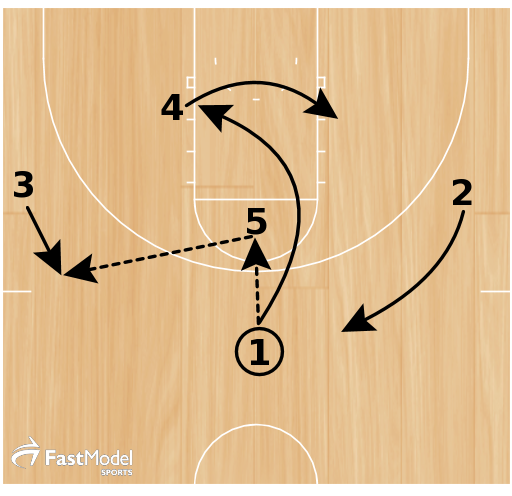 Next up, I hope to get back to discussing Team Hurricane's motion offense and, in particular, our Princeton Series which incorporates elements of the Princeton Offense. See you all soon!